Hello dears! I am back today, as promised with our kids bathroom reveal! I left you last night about 95% done and now I’m like 99% done but I promised I’d be back so that 1% will have to be done later! I am going to start by saying YAY!!!! I’m so beyond excited that this room is “done!”. Mostly. 😉 I just have a teensy bit of grout work to fix and a teeny bit of caulking left. And… maybe a touch up paint here and there but nothing even noticeable. Let’s begin with a little refresh of what we started with. This bathroom was not in bad shape at all. Luck for us, the reno was relatively quick and pretty straight forward. 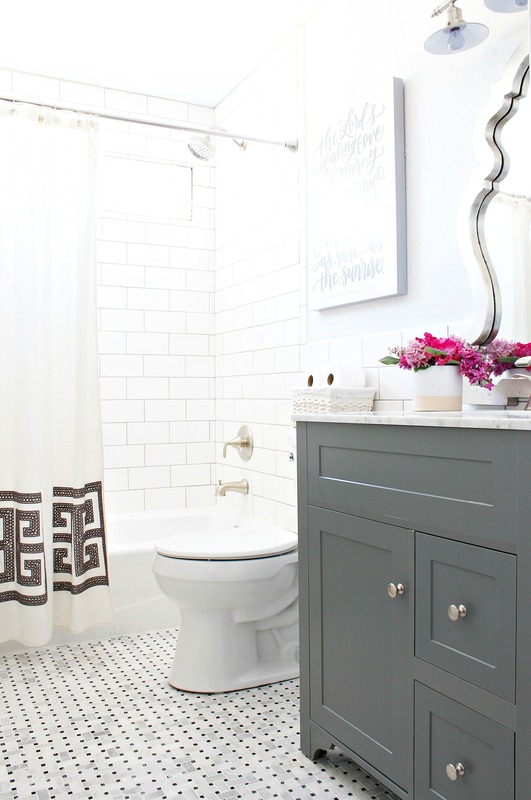 We didn’t run into any issues like water damage or crazy plumbing or electrical issues that you definitely can encounter when you take an older home’s bathroom down to the bare studs. 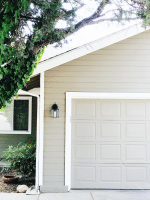 Here was our DIY plan for the makeover. We tiled the shower to the ceiling and added a soap box. I forgot to get a pic of the soap box but it matches the flooring and it’s super cute! 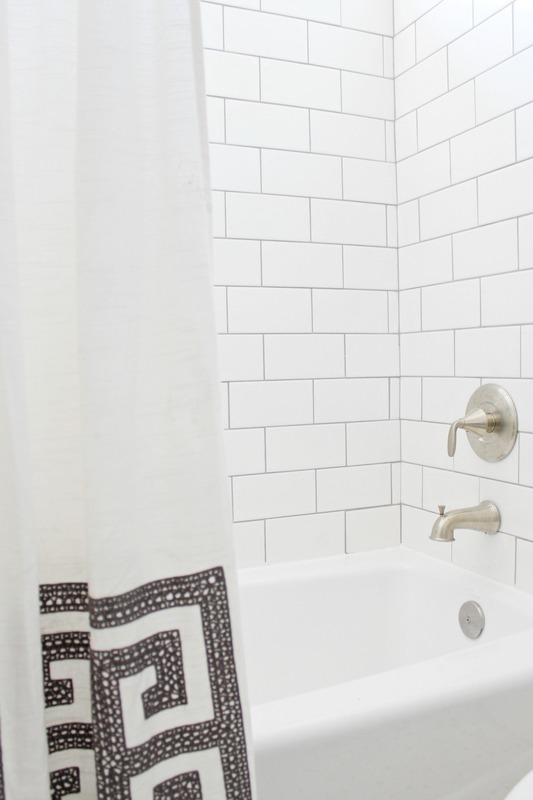 We chose 4×8 subway tile and a light grey grout. We also switched out the jetted tub with a cast iron, modern looking one. We replaced the faucet because my darling 2 year old lost the back plate for it and about a week after we got the new one, we found the back plate under the couch. haha! Whoops! The shower curtain is a recent find from Target. 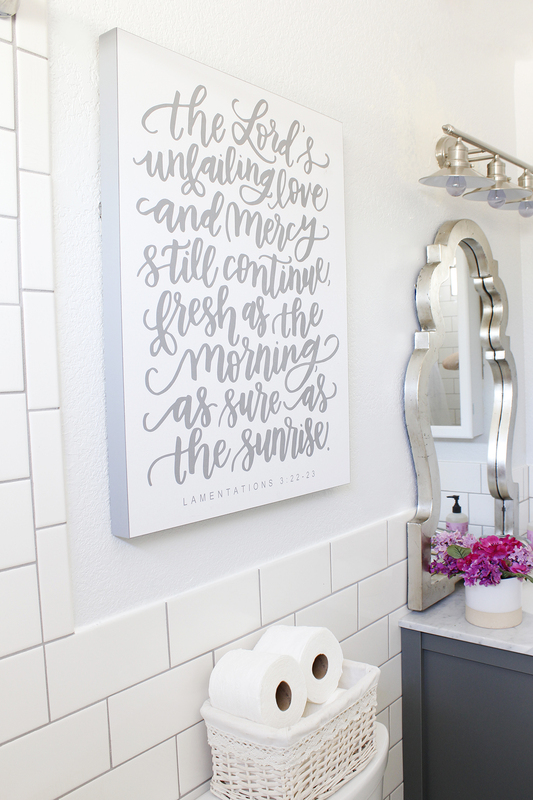 I absolutely LOVE this scripture and I thought it was perfect for the space and for a little bathroom reminder. 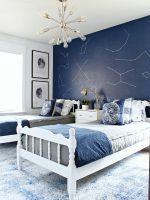 The walls are painted with Behr Silver Dust which is a very light cool grey. I love it! 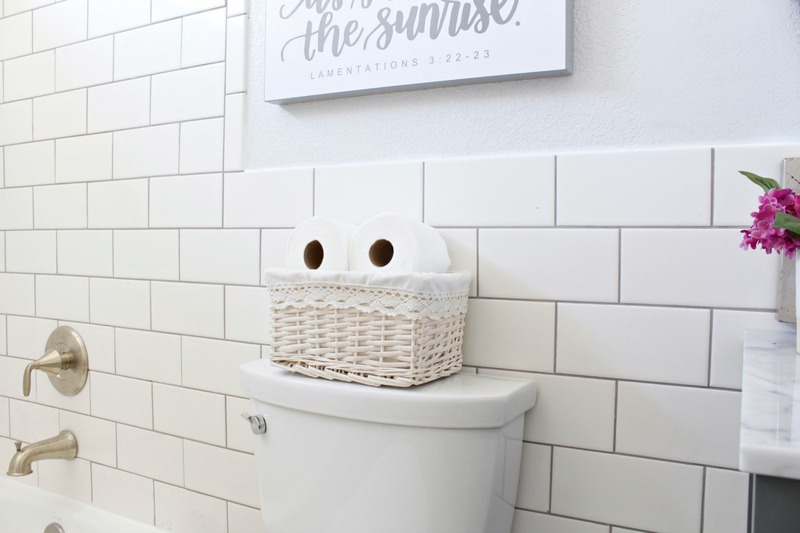 The basket is from Hobby Lobby a long time ago and I always use it for toilet paper storage because A. it looks so cute and B. it holds 4+ rolls of paper perfectly! I love cute and functional storage. The tripe vanity light is the also from Home Depot. 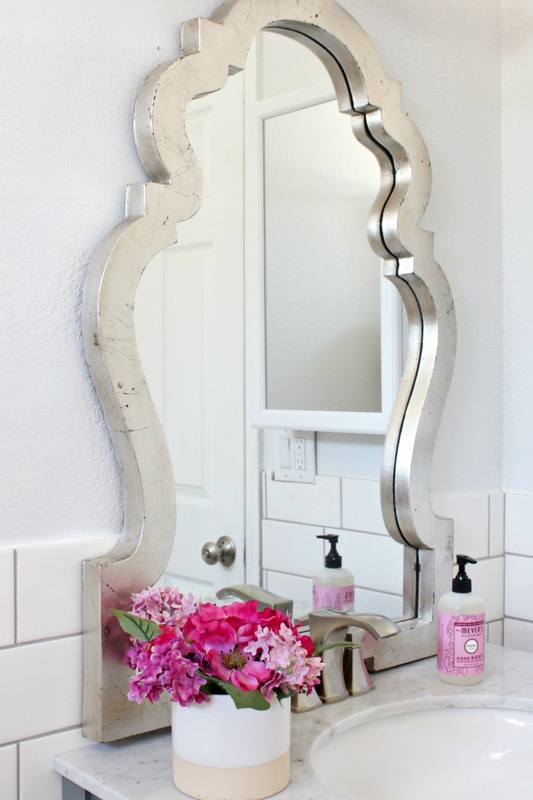 You can find the Brushed Nickel Vanity Light here. I am in LOVE with this mirror! I ended up having to buy 2 of them because the first one broke over my head. True story. It was propped up on the counter (not screwed in yet!) and I was sitting on the ground doing the wall tile and I leaned against the cabinet which was also not fully installed and it totally tipped over and shattered over my head. It hurt like a mother but mostly just scared me half to death! Luckily, I didn’t even get a tiny scratch! Phew! 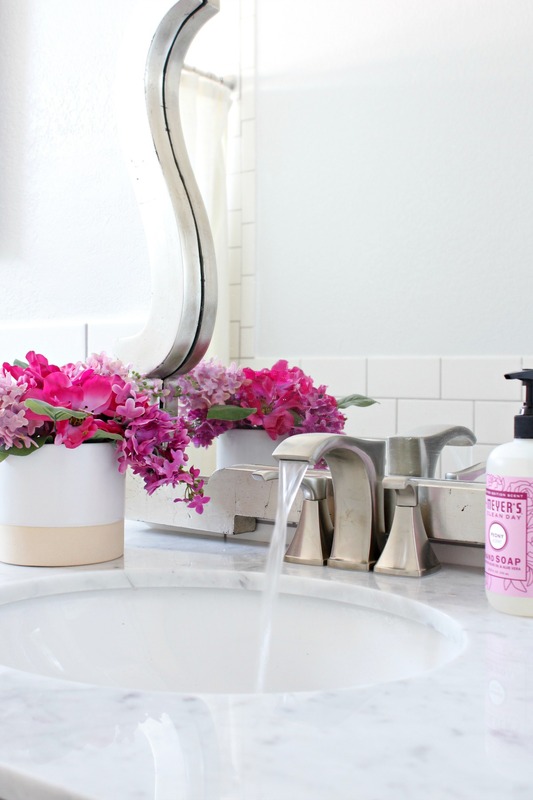 The beautiful pink flowers are my fave and I recently got them at Target. The vanity is from Home Depot. It’s called Elise from the Home Decorators Collection. It has a cararra marble top and soft close doors and drawers. I really love it! 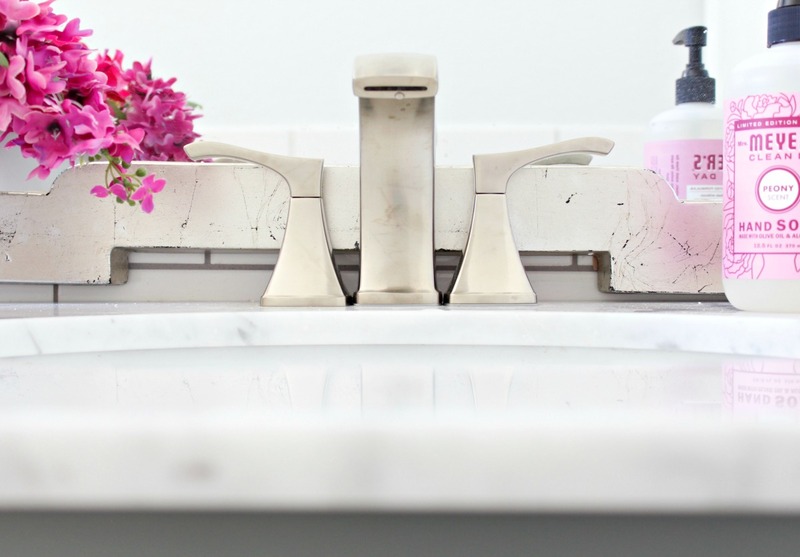 I was given the opportunity to review this Pfister Venturi Widespread bath faucet and I’m so excited about it. Is that weird to be excited by a faucet? 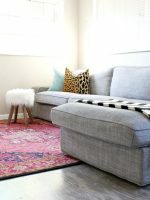 I love how clean and modern it looks and the brushed nickel finish is perfect for our space. The installation went quickly and easily. Anyone with basic DIY/handy man tools and skills can install this faucet quickly. I love how the water comes out like a ribbon! It comes in Chrome and Tuscan Bronze too! Highly recommend this beautiful, modern faucet. We also replaced the vent cover with this updated one I found on Amazon. Man, the tile work is just my favorite. Welp, hope you guys enjoyed my kids bathroom update of our home! We are so excited about it! 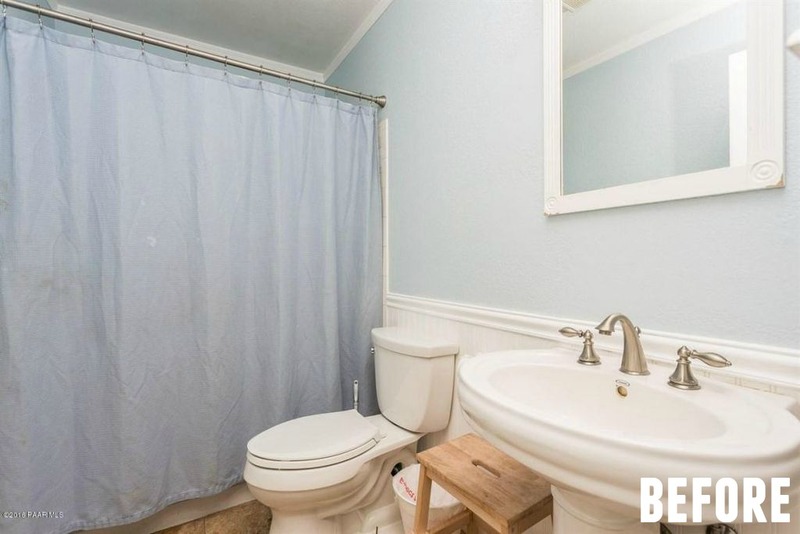 I love what you did to the bathroom. Can I ask where you got the mirror? Where did you find the mirror? I love it! Where is the scripture canvas from? I love the shower curtain, is it still available? 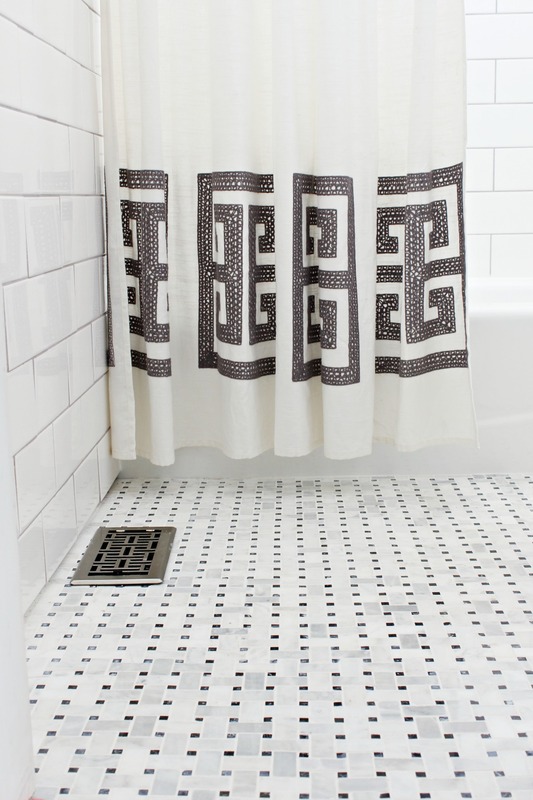 Can I ask the source for the tile? Any tips and tricks for laying the marble vs other tile. 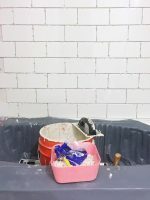 Worried about the grout staining.